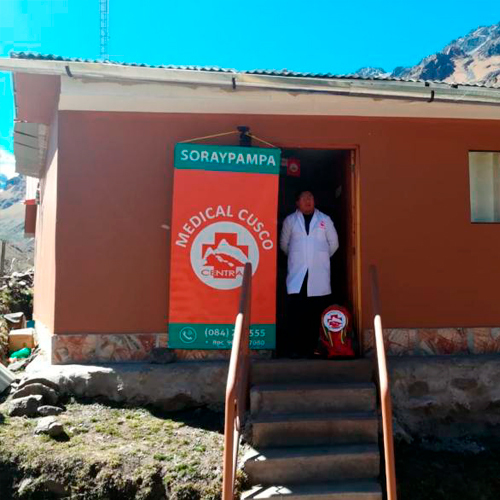 We started our operations in the town of Aguas Calientes - Machu Picchu in 2013, with the purpose of attending medical emergencies in the area, with a fully equipped facility. 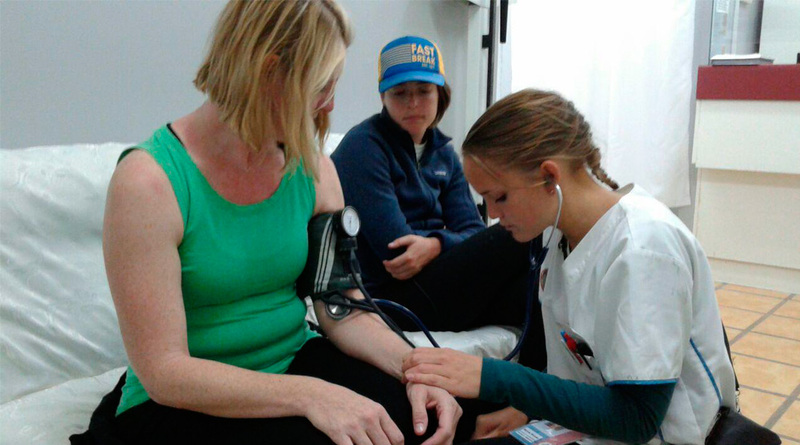 In 2016 we implemented a new medical center in the city of Cusco that allows us to attend to emergencies in timely manner. We are committed to care for, monitor and protect the health of our patients So that they can successfully complete their trip. We facilitate the professional and humanistic development of all our collaborators, who are pleased to be part of this family. We maintain coverage with different insurances companies in Europe, Asia and America. Development of social campaigns in various communities near our rescue farme – medicals posts of: Machu Picchu, Soraypampa, Santa Teresa Town and other cities. We develop a plan that is executed in our medical centers, with the purpose of bringing medicine to the communities and there is an important experience. 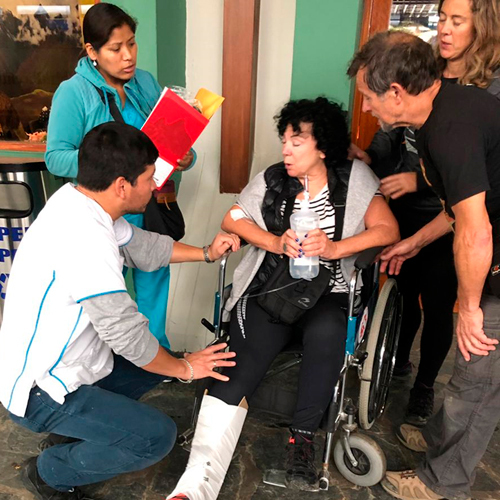 Medical staff provides assistance in hotels. We have the air support that allows us to cover evacuations in situations of high complexity. We have ambulance service ready for emergencies and rescues. Various types of examinations in own facilities. Rooms equipped with observation monitored by our medical staff.